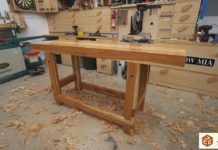 In late 2017 I made the second version of my lever router lift. 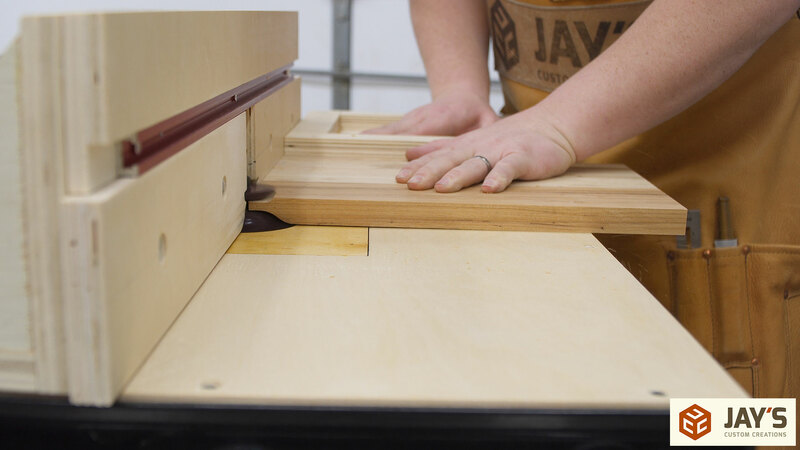 It’s a quick action lift that relies on a lever to adjust the router’s height. This is made easy due to the mechanical advantage created by the lever. However, because there is no threaded rod used in adjusting the lift height there is a misconception that the lift is difficult to adjust and/or dial-in to an exact height. It’s one of those things that you don’t really see how easy it is unless you do it. I do understand the convenience of simply opening a box and installing a precision manufactured product though. 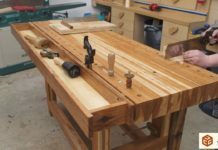 If given the option I’d definitely accept a maxed out high-end commercial router table over ANY homemade router lift/table option or a beautiful Plate 11 workbench over my very own workbench. Who wouldn’t?!? With that said, I designed this lift to be very user-friendly, plenty capable for 99% of router table tasks, and a LOT less expensive than commercial options. The entire setup (router lift with dust collection, the wing, and the fence combined) costs a fraction of what decent commercial options cost. 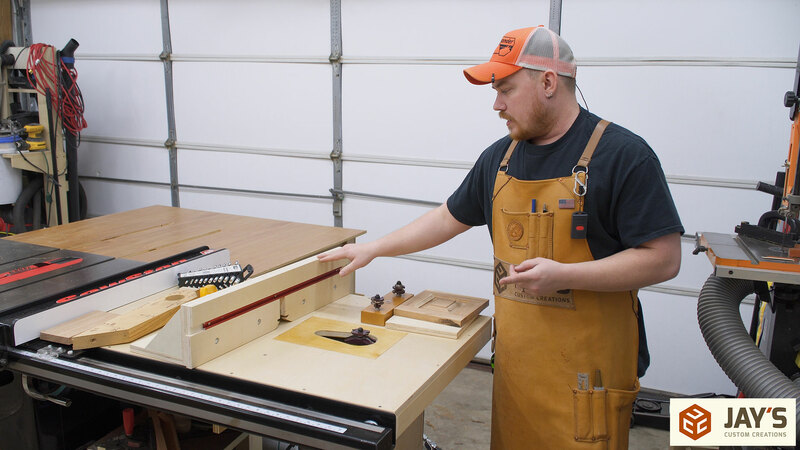 If your woodworking requires a half thousandth of an inch adjustment at a time then a high-end commercial lift might be a better option for you. For the other 99% of woodworkers, this lift should tick all of the requirement boxes. This article/video serves two purposes. 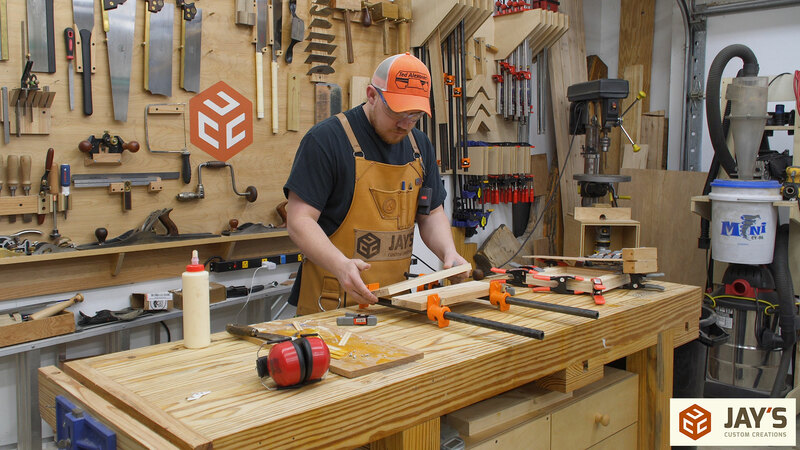 First, I picked up a set of door making bits for the router and I want to get more familiar with them so I can incorporate them into future projects. 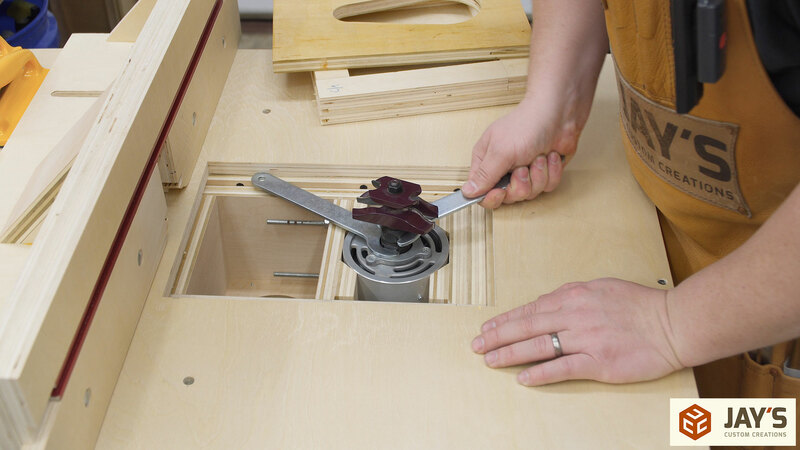 Second, which is also required by those door making bits, I want to show that you indeed can make fine adjustments and get a precise setup with this style of router lift. It’s actually incredibly easy to get the height you want. Simply grab the side of the lift underneath the lever and twist your hand up or down to adjust the height. 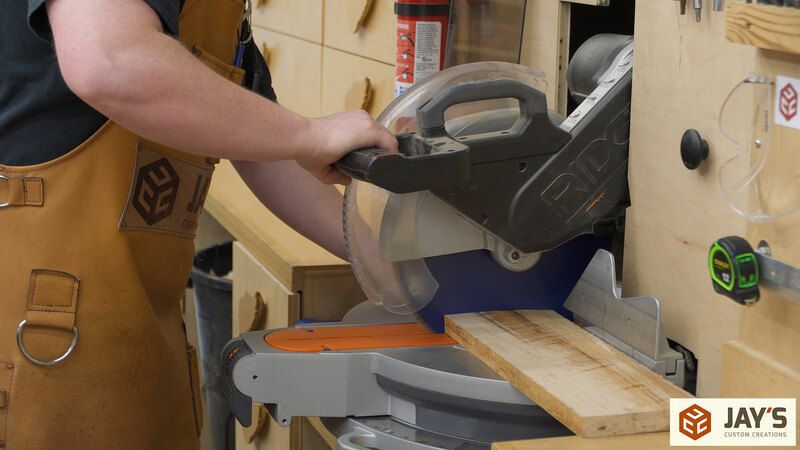 My router lift setup is basically a full-blown router table in the extension wing of my table saw. I had four main criteria when designing the lift. (in no particular order) First, it had to be easy to adjust the height. Second, the fence had to be adjustable and robust. Third, the dust collection had to be great. The day before I made this video I made a tiny door as my first test of these bits. I realized I should make a sled of some kind that would be similar to homemade coping sleds but without the need for a hold down clamp. After thinking about it for a few minutes I realized that a small backing sled with thumb grabs would do the same thing. Maybe if I was making a run of 30 or 40 doors I might invest in a better option but for now a simple backing sled will do the job. For this I used a 10” x 10” piece of 3/4” plywood. Then added a 1-1/2” layer of plywood to the top perimeter. Just glue and clamps for these pieces. I didn’t want any metal fasteners in the way. 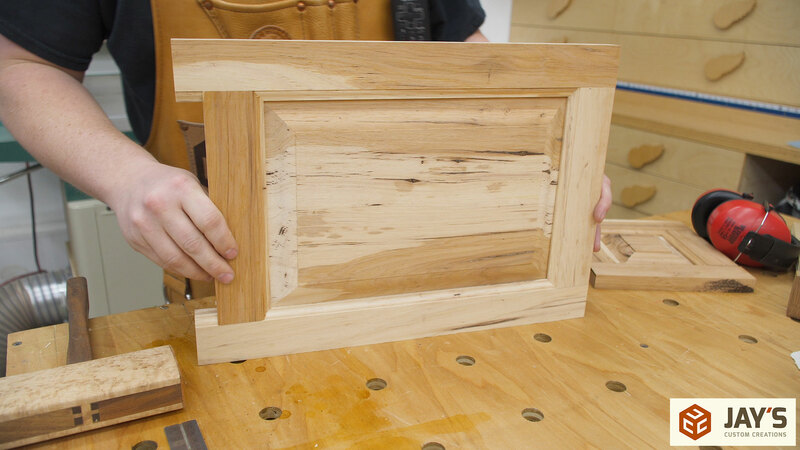 For the example door I picked a small-ish piece out of my never-ending stack of hickory. I have no use for this door and I’m only using it as an example so this should do the job just fine. 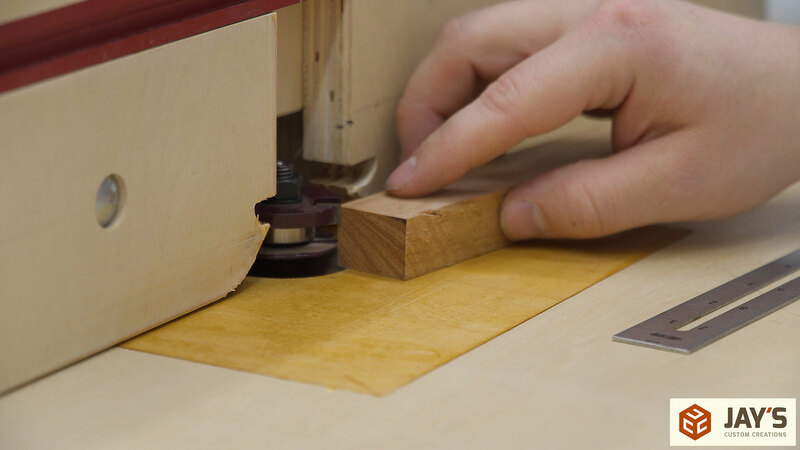 I also wanted to use a really dense wood like hickory to see how my router would handle it. I normally do my material layout in SketchUp but it’s really not necessary for one door. I guessed correctly and determined that a 12” x 16” door would fit on this piece of hickory. 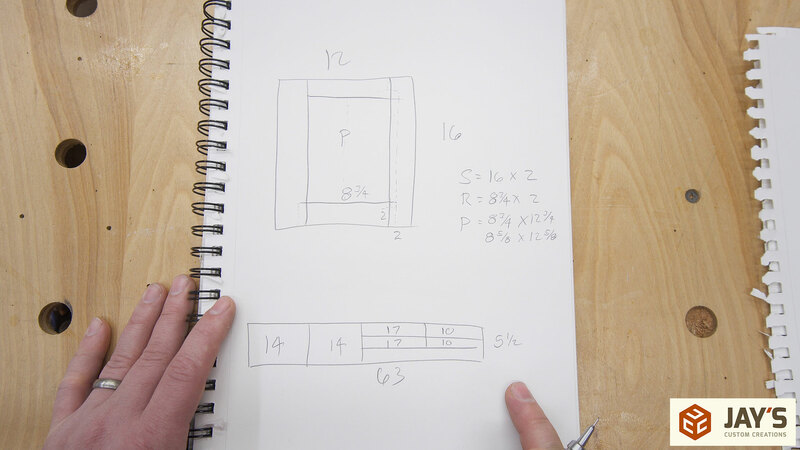 To quickly run down the diagram, the stiles are the vertical pieces to the left and right and they are 16” long. All of the rails and stiles are 2” wide. 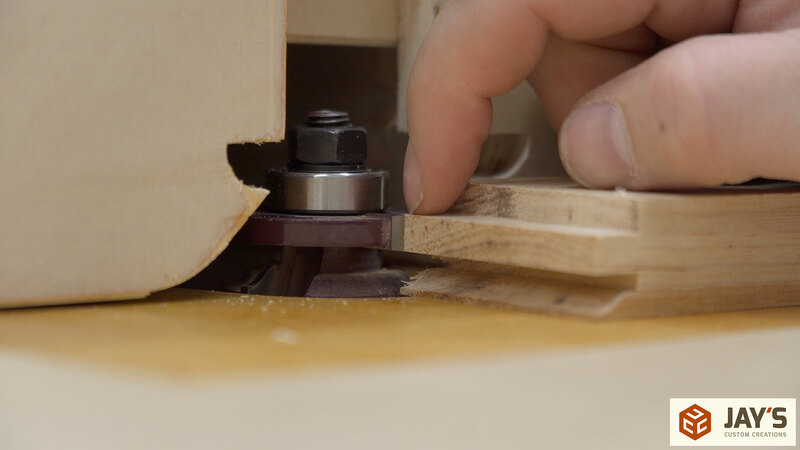 The tongue and groove part of the joint is 3/8” deep with this router set. 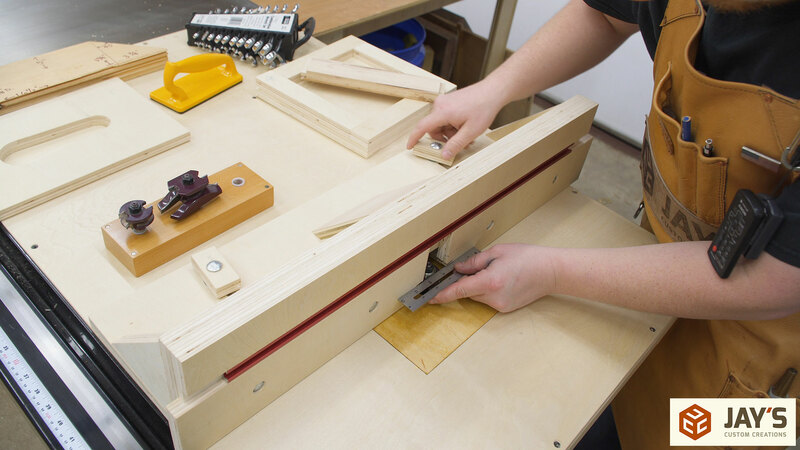 So to determine the rail length we take our overall width of the door at 12” and subtract 2” for each stile width and add 3/8” for each tongue to give us a rail length of 8-3/4” (12-2-2+.375+.375=8.75). 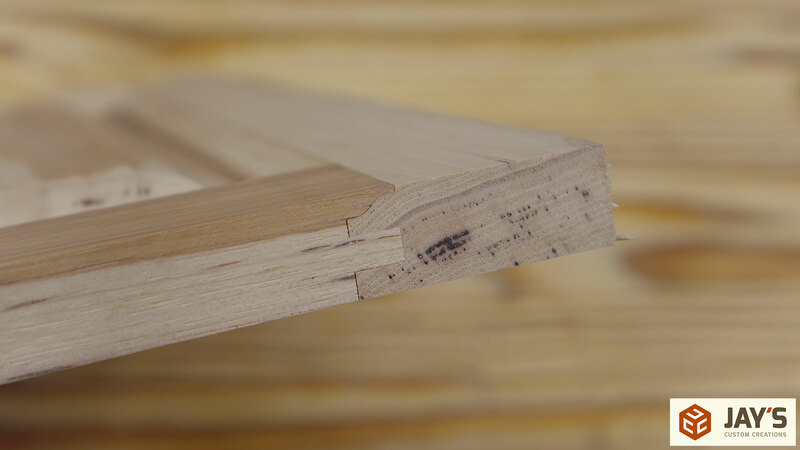 For the panel size we know the width will be the same as the length of the rails and the height is the overall length of 16” minus 2” for each rail plus 3/8” for each groove on each rail giving us a panel height of 12-3/4” (16-2-2+.375+.375=12.75). 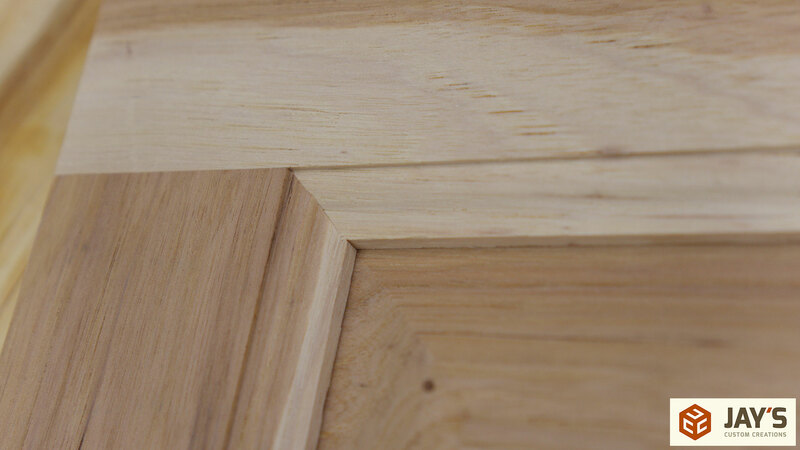 The panel will actually be cut 1/8” less in both directions for expansion and contraction. 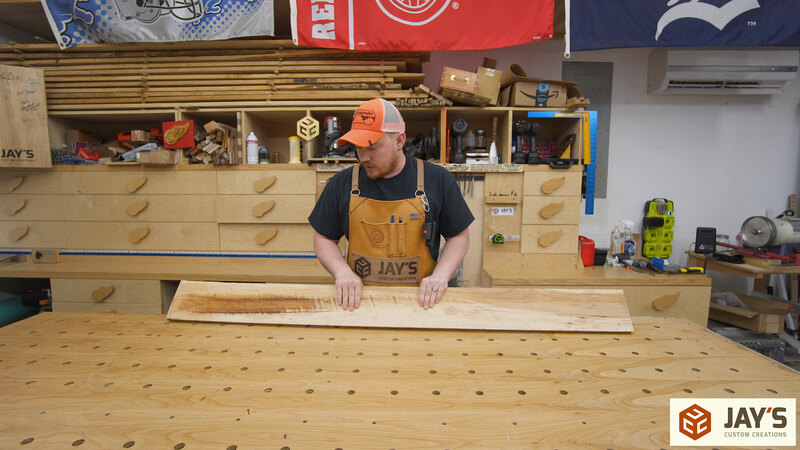 With the part size determined we can lay it out on the usable space of the hickory to see if everything fits. 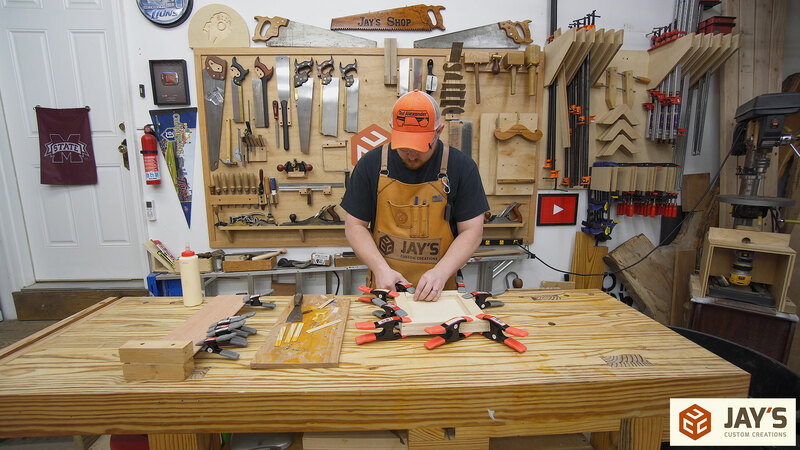 My milling process always starts with rough crosscuts at my miter saw station to bring smaller pieces to the jointer. 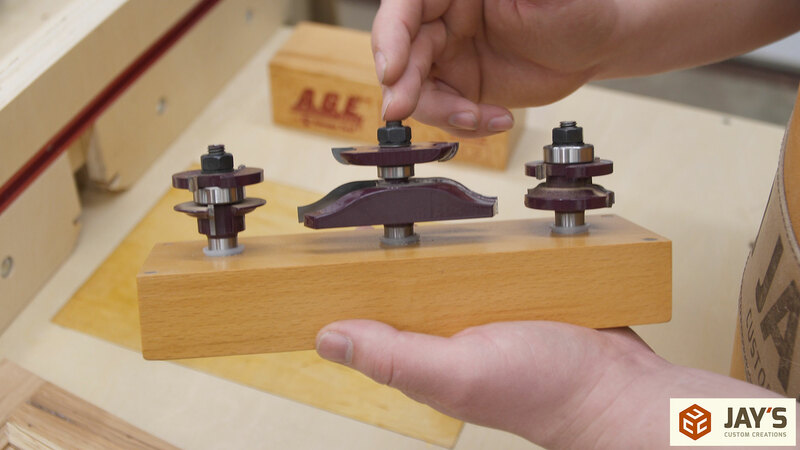 After one face is jointed flat the opposite face is planed flat and parallel at the planer. Then back to the jointer to get one short face flat and square to the large faces. 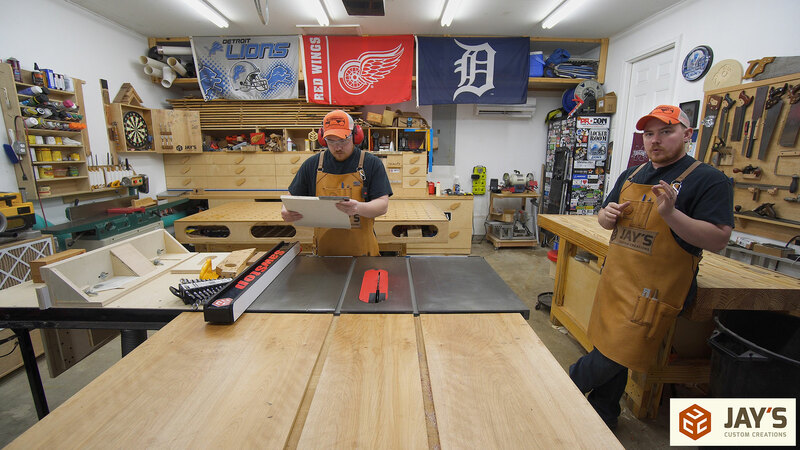 And finally over to the table saw to determine the final length and width. For those who are interested, I previously made a highly detailed video and article on grain selection and milling lumber. Here’s roughly what the door will look like. Hickory is definitely showing it’s “rustic” characteristics here. This grain selection could easily fall into the category of beautiful and interesting as well as ugly and “low grade”. Because the door panel needs to be wider than the board I picked out I had to glue two pieces together. While the hickory panel sits in clamps I started the router table setup. This image is taken out-of-order in the video flow but it shows the first step in setting up every one of these bits. 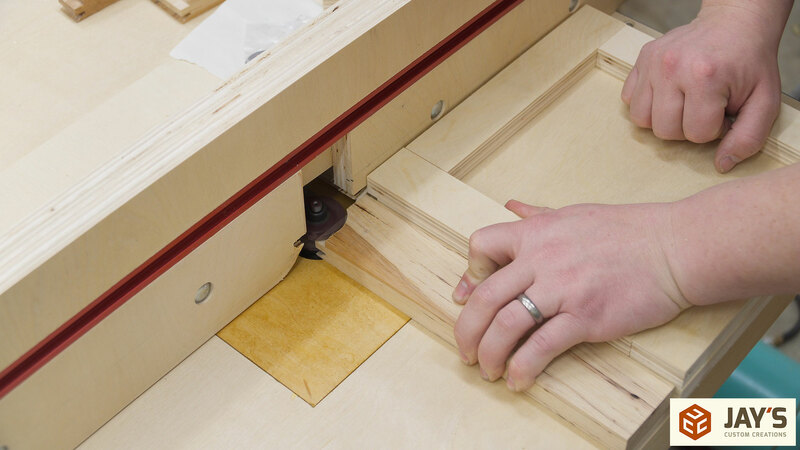 A straight edge is used to position the fence perfectly in-line with the bearing on the router bit. The first bit to be used is the coping bit (tongue). 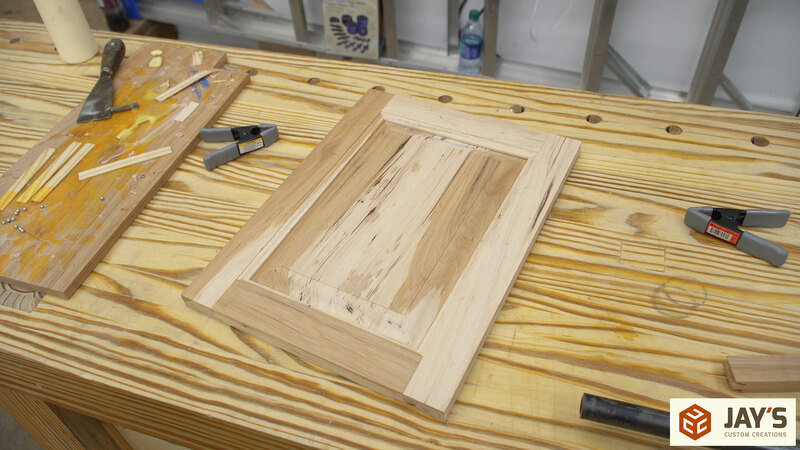 I already made a door with this set and could have used one of those rails as a setup block to position the router bit but I wanted to start over for the sake of the video. I set the bit height so that the cope/stick profile will start about 1/16” from the outside face of the door. This positions the tongue to be somewhat off-center. Note that all of the parts will be run with the good/outside face touching the table and the bad/inside face facing up. Then all of the rail ends are cut. Because there is very little material engaged with the fence stability is an issue with these cuts. That’s where the coping sled/backer board comes into play. It’s just the simple square I made earlier and with the elevated blocks all the way around it it’s easy to pinch the material against the sled. Next up is the sticking bit (groove). This bit is used on the interior faces of all of the rails and stiles. Just like with the other bits the fence is positioned perfectly in-line with the bearing on the router bit. 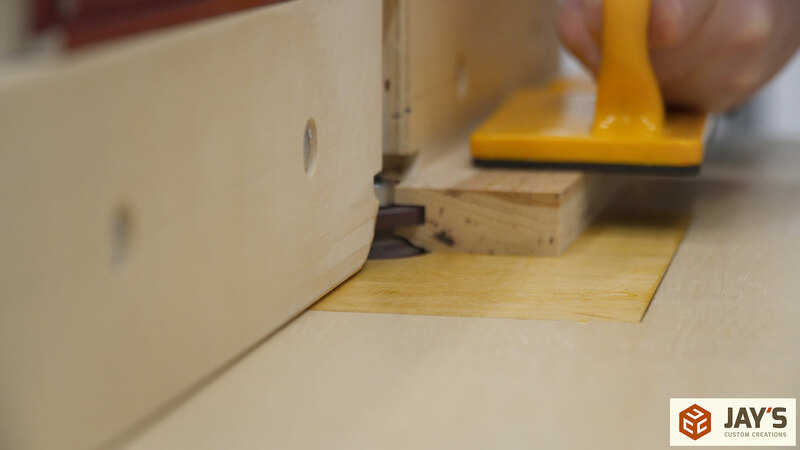 Instead of a setup block, the end of the rails we just cut is all that is needed to dial in the router height. With the router carriage on the lift unlocked and my hand grabbing the side of the lift under the lever I twisted my hand as needed to position the groove cutter to match the end of the tongue on the rail piece. After locking down the router carriage the sensitivity of a finger is all that’s needed to see if the two are in perfect alignment. Make adjustments as needed. 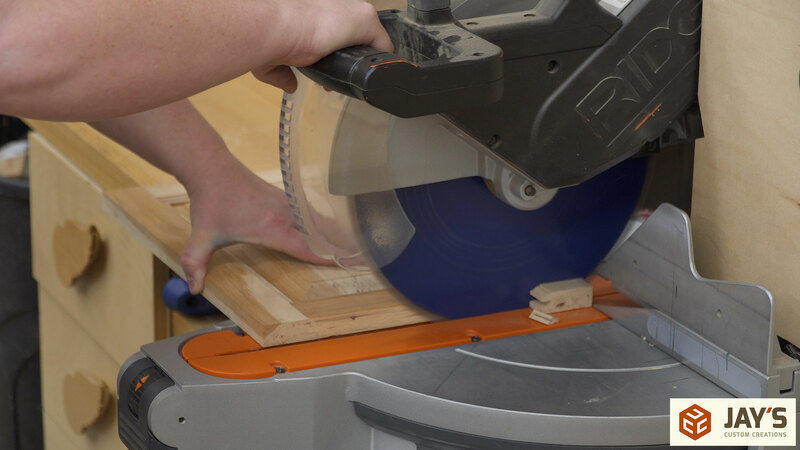 Then make a test cut on scrap material and connect the scrap piece with the rail pieces. 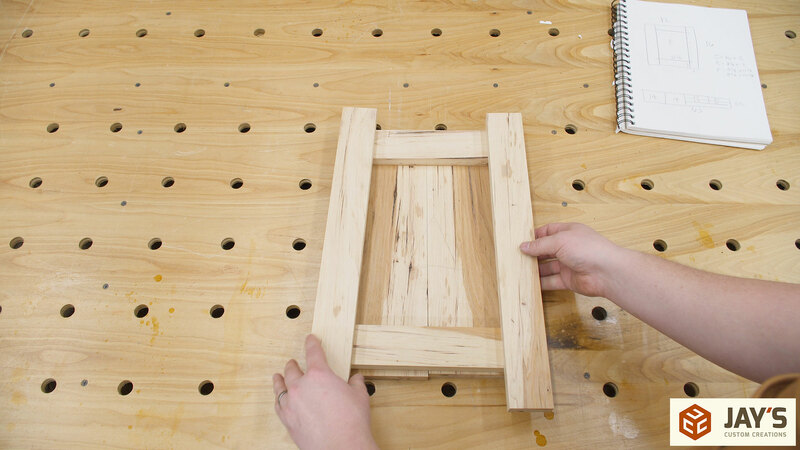 If the front faces are nice and flush when the joint is fully seated then the height is set and you’re ready to run all of the actual door pieces. The final bit to use is the panel bit. 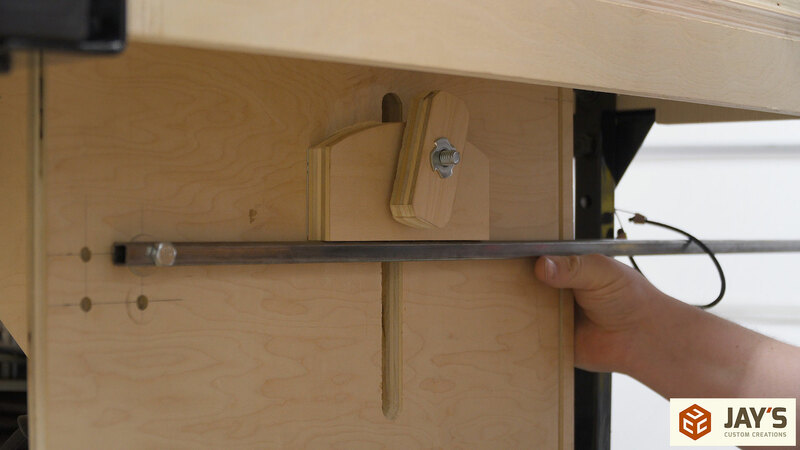 One handy feature of the lift is that you can use the side of the router carriage to hold one of the collet wrenches for you. There’s no need for a setup block for this bit as it’s height won’t affect the fit of the panel. I positioned mine so that there will be about 1/16” of a shadow line in the interior of the door where the raised panel profile starts. This is a large bit and, generally speaking, the larger the bit the slower you need to run the router (and drill press). I wanted to see how well my router could handle a full pass through this hickory but to put less stress on the router and reduce the chances of burn marks it’s recommended that you set the fence forward, run your material, then set the fence to the bearing and run your material again. My setup seemed to handle the hickory with no problems, however, when editing the video I did notice that when removing that much material at once I didn’t get perfect dust collection. I’m not sure how much of that is due to the volume of cut taken, the somewhat quick feed speed, or the placement of the adjustable fence pieces. At this point the door can be assembled. 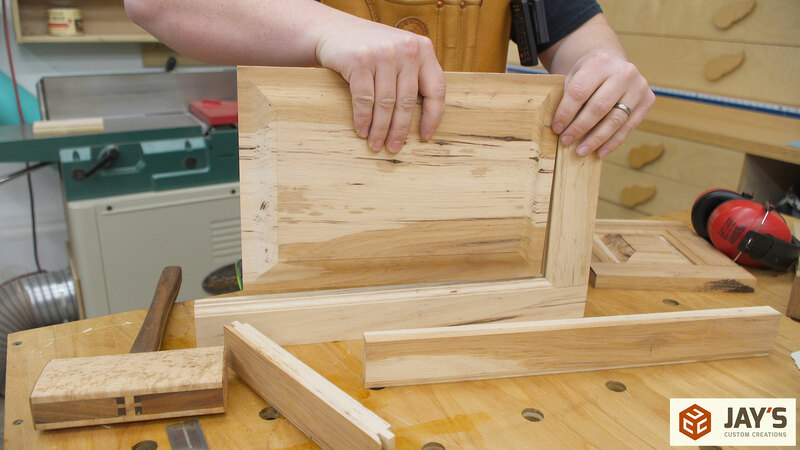 It’s common practice to leave the stiles long and trim them flush after glue up. I didn’t glue the door but it was holding together incredibly well. So tight that I had to use a mallet and a scrap block to break apart the rail and stile joints. I’d imagine this tolerance will go down slightly over time and heavy use on the router bit set. Because it was holding so well together I decided to trim the door without glue at my miter saw. And here’s a few completed door pictures. 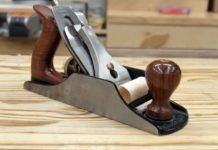 Again, the goal of making this door was to get a little bit more familiar with the router bit set, see how well the router performs with the large router bits, and to show how easy it is to adjust this particular router lift. A further hit was $150 which is much more reasonable. I can see a kitchen cabinet remodel in my future. The bits I used, and linked to in the article, are $107.15 USD right now. Thanks for the video. 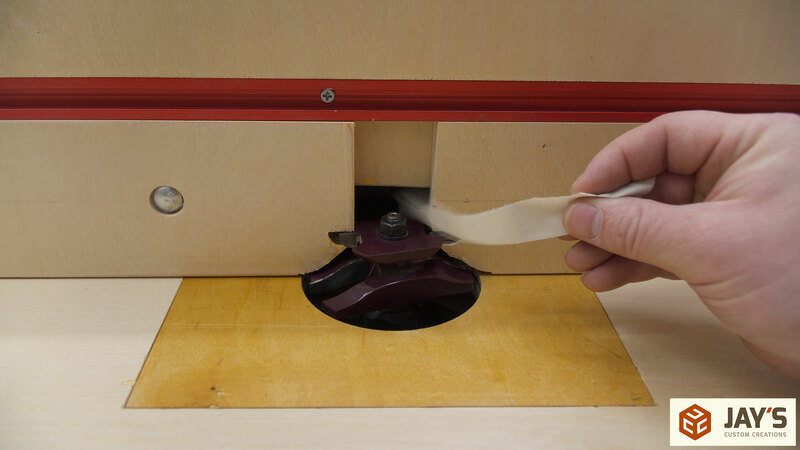 Have you considered to add a threaded micro adjustment on your router lift? Where you have your magnets run a threaded screw through the metal rod. This way you can get adjustments in the mic range. Not sure if its needed since I have not built and used your router lift system. @Jim Power. Every once in awhile, they are on sale at Canadian Tire. I got mine (Freud) about three years ago for $89.00 + tax.